Here at MicroAge Kingston, we enable client success through information technology. Our world class IT services are powered by a team of skilled professionals who strive to anticipate the evolving needs of every client. We take pride in the premium quality, personalized services we deliver. Each member of our team has earned us the privilege to be considered Kingston’s Most Trusted Technology Partner. We place a tireless focus on our people. Our team members are encouraged to think outside of the box when solving complex business challenges for our clients. We value the contributions of each team member and encourage each person to build on their unique experience and apply their sincere passion and dedication to our client’s success. As a member of the MicroAge Kingston team, our mission is to help bring out the best in you. The Business Development Manager plays an important role within the Sales team. The Business Development Manager is responsible for prospecting and uncovering opportunities with business owners and executives within our existing and potential clients. Activities include preparing proposals, presentations and nurturing leads through the entire sales cycle. The Business Development Manager is recognized for having a proven track record for consistently exceeding sales objectives and possesses exceptional client development skills which are conducive to establish and build long-term trusted relationships. Resumes are currently being accepted. The Client Account Manager has B2B sales experience. A proven track record of personal/entrepreneurial success is an asset. They have experience generating quotes and proposals, ideally for technology solutions. This position requires someone who understands technology at a high level, can translate business needs into solutions and who has a genuine interest in seeing client succeed through the effective use of technology. The TCSR (Technical Customer Service Representative) plans for and executes service activities on all assigned products to maximize their availability. The TCSR is assigned a full workload, is knowledgeable and experienced in all service requirements and diagnostic/maintenance procedures. The TCSR has an understanding of network environments and a conceptual knowledge of software. The TCSR is familiar with the team concepts and works well in a team environment. Reporting to the Service Manager, the Help Desk Technician is responsible for the remote monitoring and remediation, telephone support, deployment services, inventory control and coordination of onsite technical interventions. 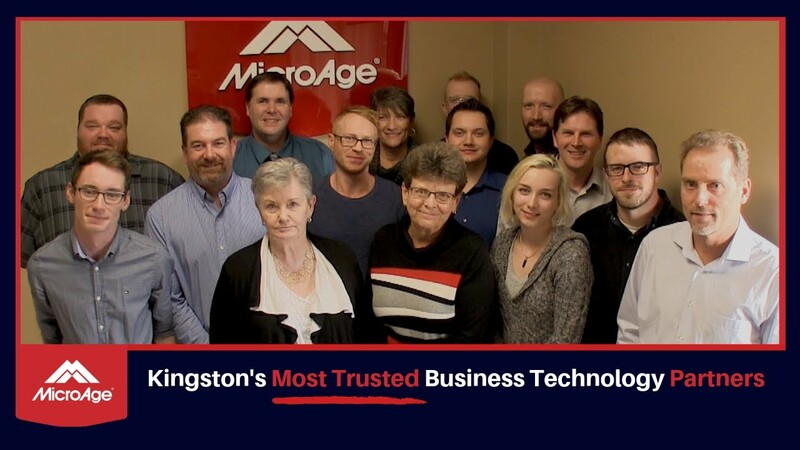 MicroAge Kingston is recognized by leaders in the IT community as being a best-in-class IT business that delivers technology services to fuel your business. © 2019	MicroAge Kingston	Tous droits réservés.